Last week, we presented at Unpluggd, an event for selected startups to showcase their stuff. 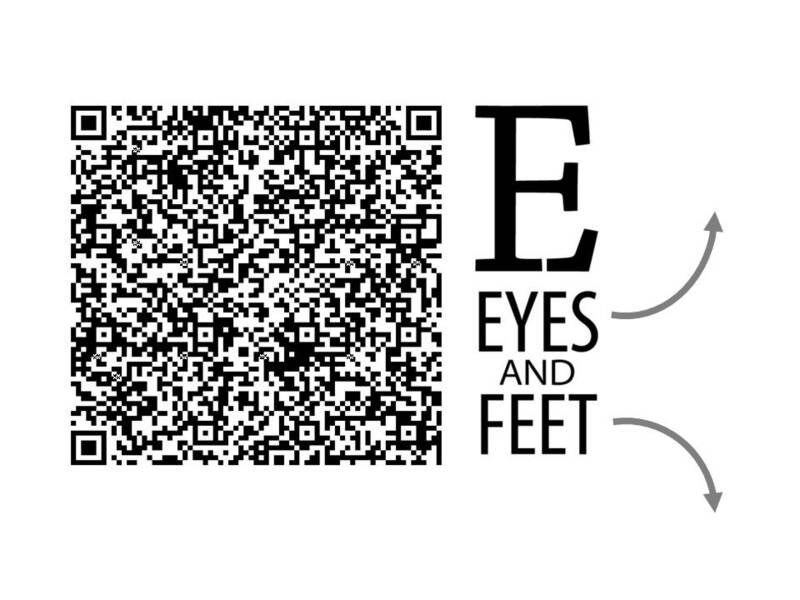 At the end of our presentation, we encouraged people to tweet about @eyesandfeet (with the event hashtag #unpluggd2). We've promised 10 lucky winners their own custom QR code T-Shirts. Some of you may know of our fascination for QR codes. Wearing a QR code enabled T-Shirt to an event and promising people a chance to win their own is an interesting (and inexpensive) way to build some buzz. We're now sifting through the entries to identify the winners, each of whom will be encouraged to give us 250 'custom' characters of text they'd like their QR code to carry. 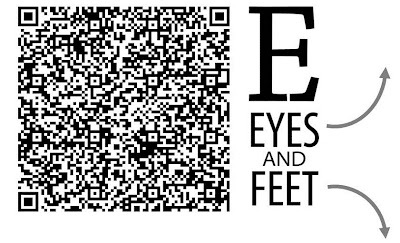 This will then be converted to a QR code, printed on to T-Shirt transfer paper (along with the Eyes And Feet logo, as shown below), ironed on to a T-Shirt in their chosen size, and shipped to them. 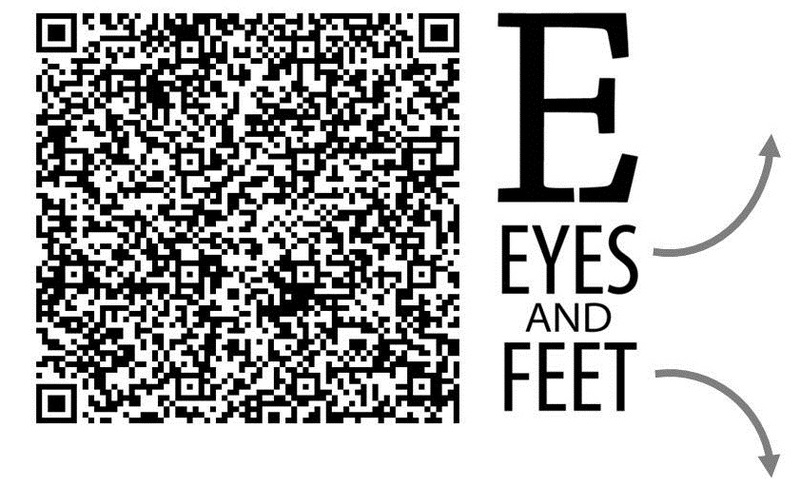 Multi-purpose design: besides your own custom QR code, the design helps identify your Eyes and Feet. Especially useful if you need to be carried out of a bar. Our original idea was to select a few winners at the event and print/iron/transfer/deliver their T Shirts before the event got over. We'd even carried our inkjet printer and iron - drove them all of 250 miles to the event. Vivek (( I assume you are @vivek_gupta?). Yes you did :-) Look out for a msg soon. And thanks for participating. James, glad you liked it.